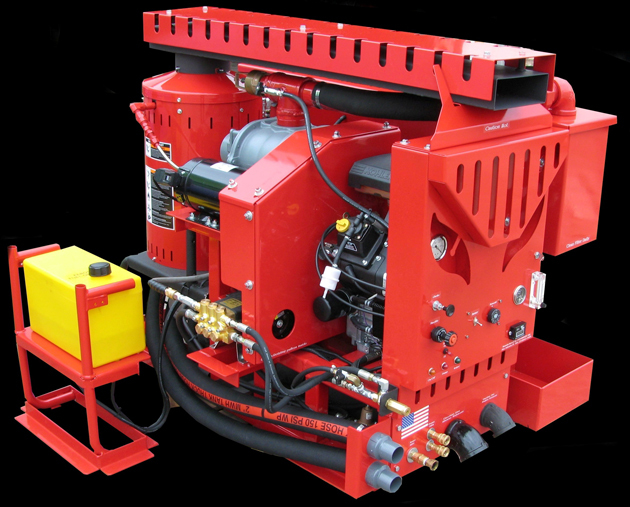 Dragon is the most impressive Multi Surface Machine on the market today! Carpet Cleaning, Pressure Washing, Upholstery Cleaning, Tile and Grout Cleaning, Automotive Cleaner, Air Duct Cleaning. 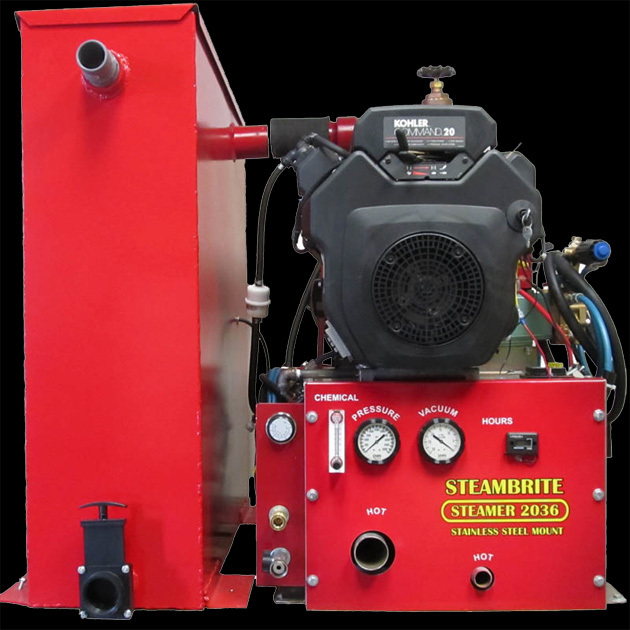 Steambrite MFG Steamer 14Hp 2000psi HEATED 33 Blower Stainless Steel Belt Drive Truckmount. Starter Truckmount and a Great Price with Super Performance Stainless steel frame. 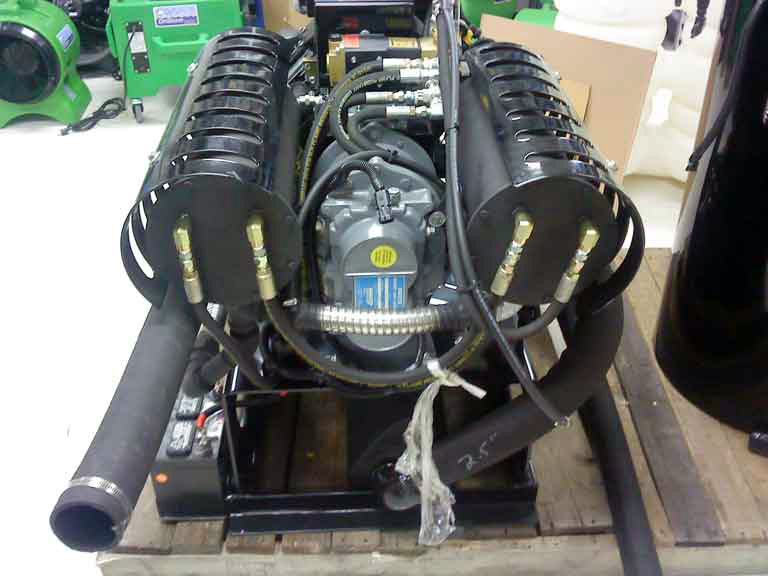 14 Hp Quad Clean Kohler Engine With Electric Start with Fuel Tank. 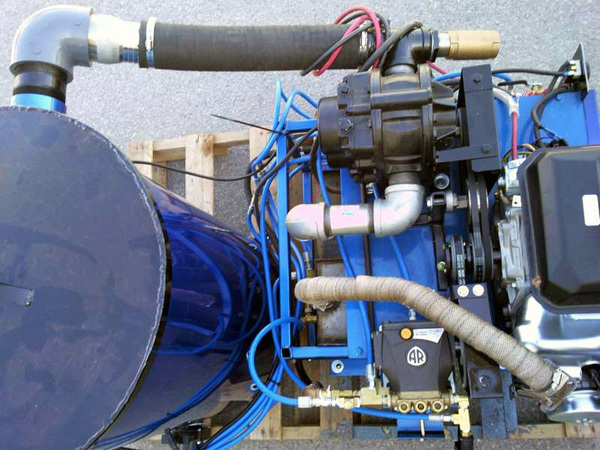 Tuthill 3003 Blower with Stainless Steel Lint Filtration. Quick Change Belt Drive Water Pump. 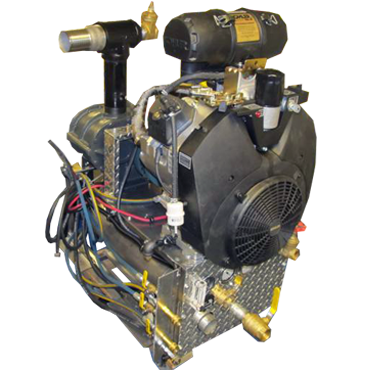 Quick Change Belt Drive Vacuum Pump. Chemical injection With Dwyer Meter Adjustment. Stainless Steel Never Rust Frame. 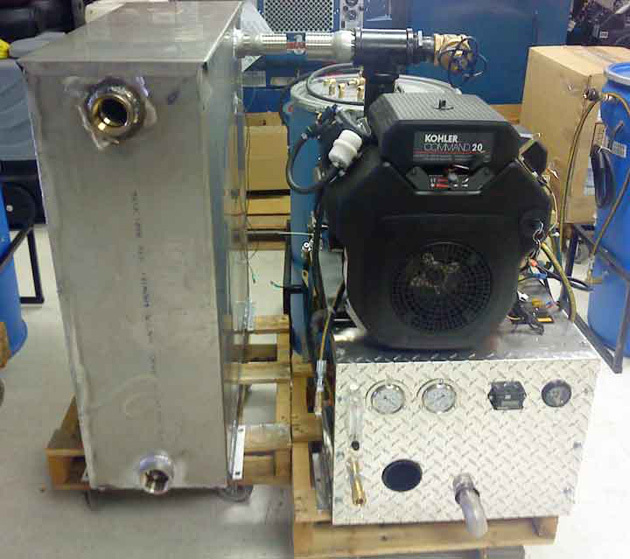 Stainless Steel Heat Exchanger inside and out. 50 gallon Stainless Waste Tank With Auto shut down when full. 100 ft by Two Inch ID Vacuum hose. 100 ft 3000 psi solution hose. Stainless steel dual jet carpet cleaning wand. Price listed is already with a cash discount. Credit card transactions are extra. Click below to apply for financing. 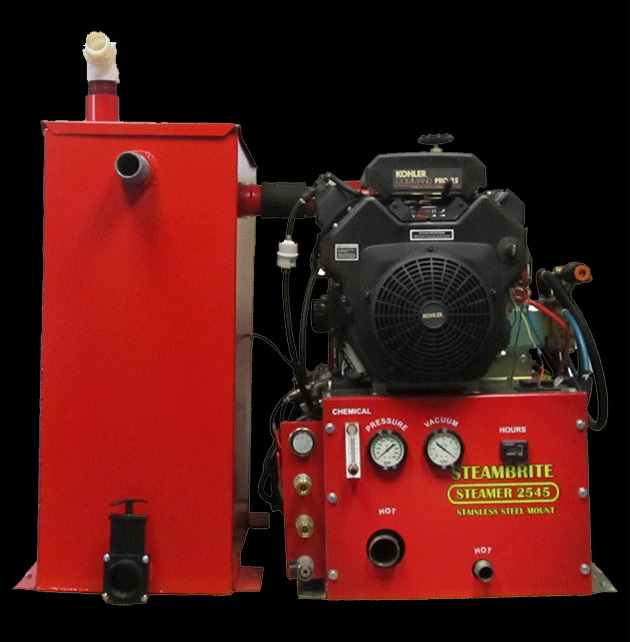 Steambrite Flood Pumper:16Hp Lifan 3003 Tuthill Blower Auto Dump W/ Hoses Also for Pressure Washer Water Recovery. 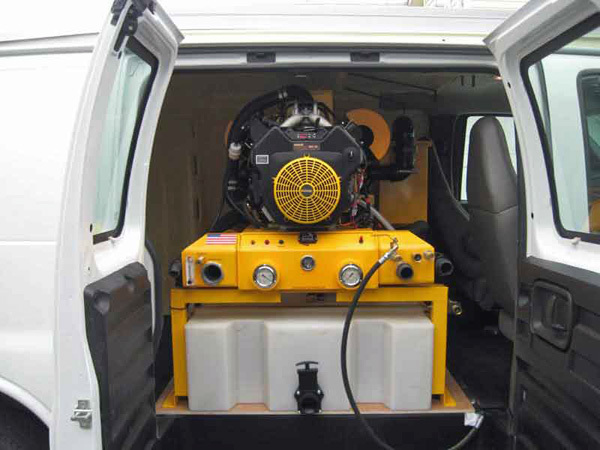 Truckmount Flood Pumper and Pressure Washer Water Recovery Unit. 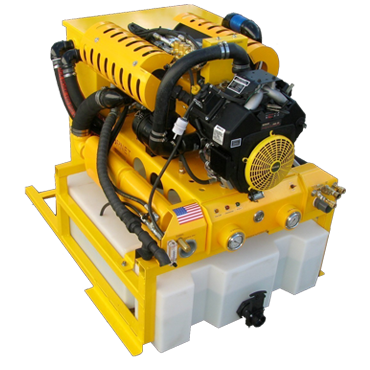 This machine will let you clean and capture water from Water Recovery Tools by vacuuming up water through your surface cleaner. 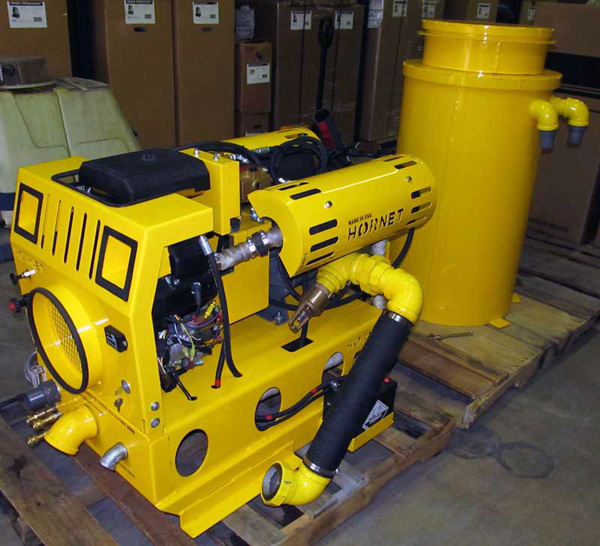 10 GPM Auto dump pump to transfer your water to your large holding tank or to a nearby toliet or sewer clean out. 55 gallon Stainless Steel Waste Tank With Auto shut down when full. 50 ft by Two Inch ID Vacuum hose. Truckmount 16Hp 33 Blower 2000psi All Stainless Hose & Wand Steam Brite Steamer Carpet Extractor Tile Cleaning Machine. 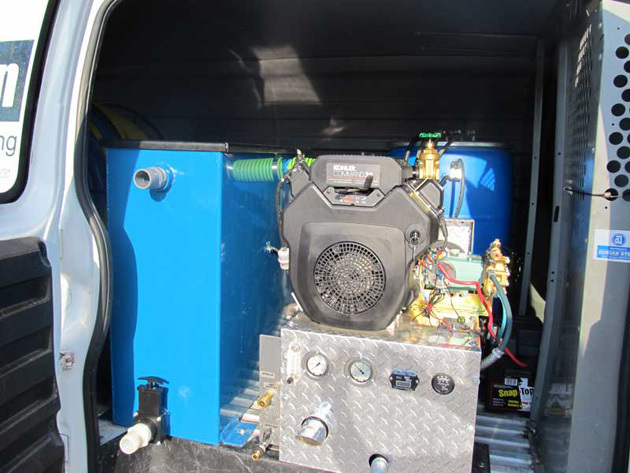 Great Starter Truckmount Carpet Cleaning Machine. 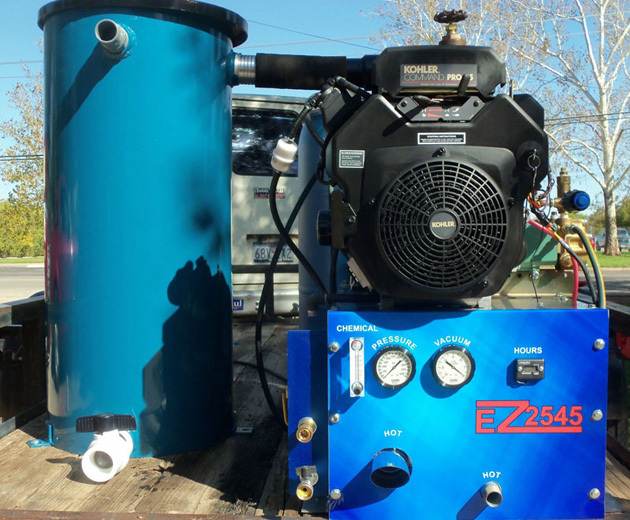 More consistant water temperatures & More Heat than other Machines this Size All Stainless contruction means more durability and lifetime good looks. 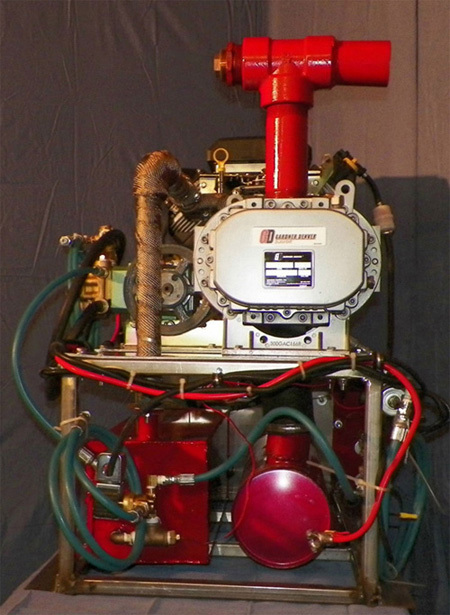 2000 psi Oil Bath AR Triplex Plunger Pump. 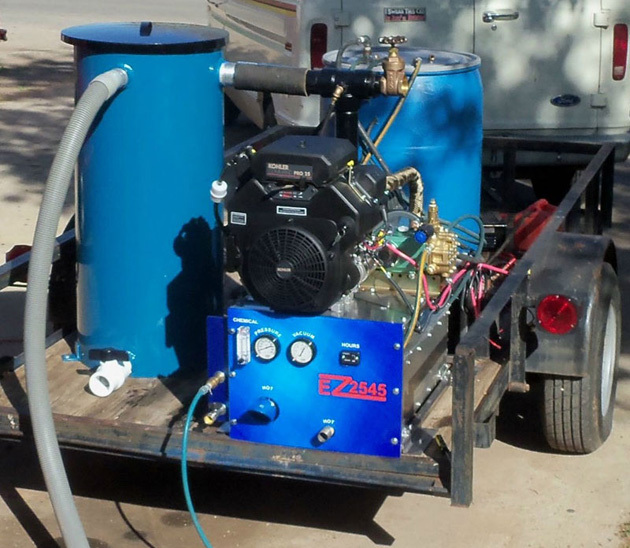 Perfect Starter Truck Mount Carpet Cleaning Machine! 100 Ft. Each of Hoses (Vacuum and solution), and 12 in, Stainless Steel 2 Jet wand. 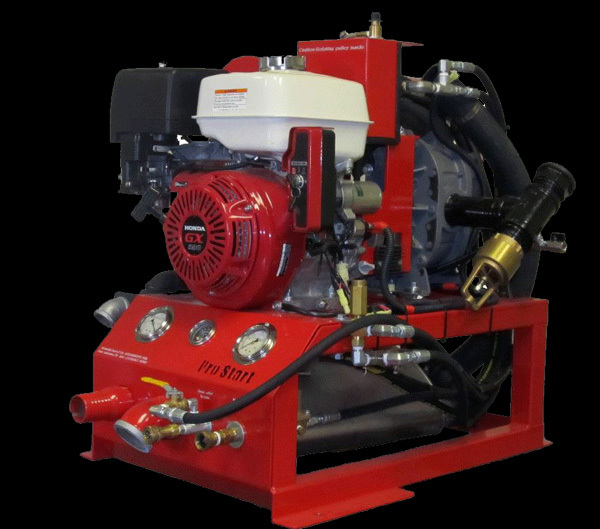 The TM1633B uses the Tuthill 3003 blower lets you clean 300 ft away! 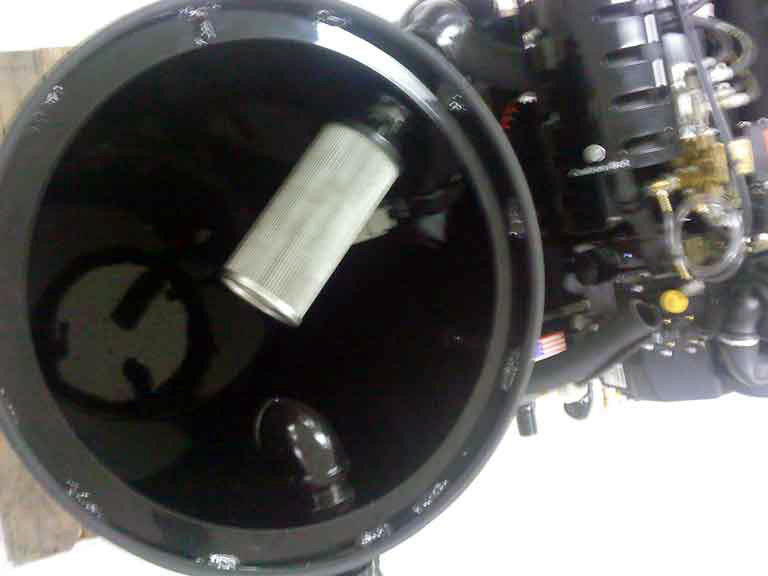 Engine Mounted Fuel Tank. No Need for the Expense of Tapping the Vehicle Tank. 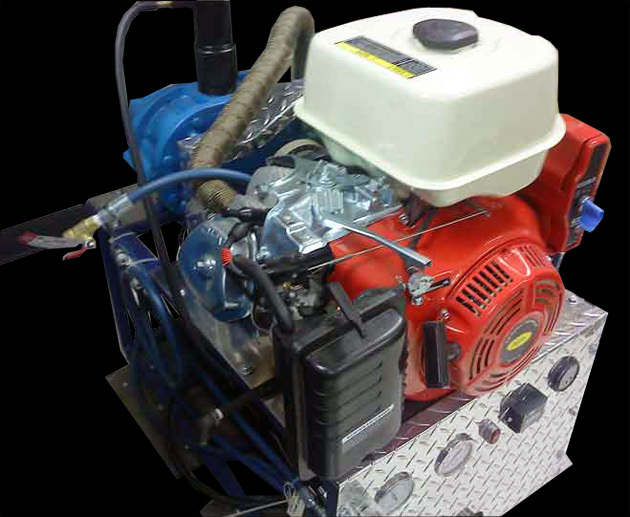 The TM1633B is 16 HP Lifan with low oil Level shut down. A.R. 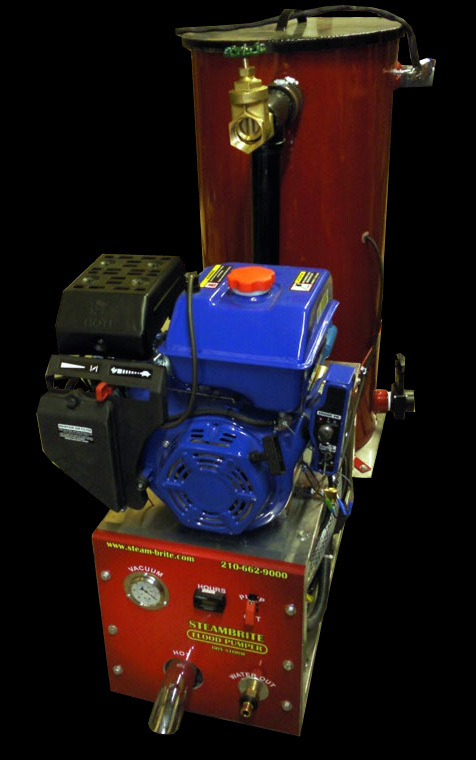 Brand Triplex Ceramic Plunger Pump 3GPM, 2000 Psi. 60 gallon Round Stainless Steel Waste tank with High water shut down safety switch. 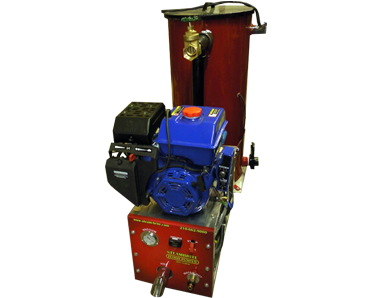 Chemical Metering system included on the machine. Adjustable water temperature, Thermostatically Dial Controlled. Glycerin filled vacuum and 5000 psi pressure gauges. 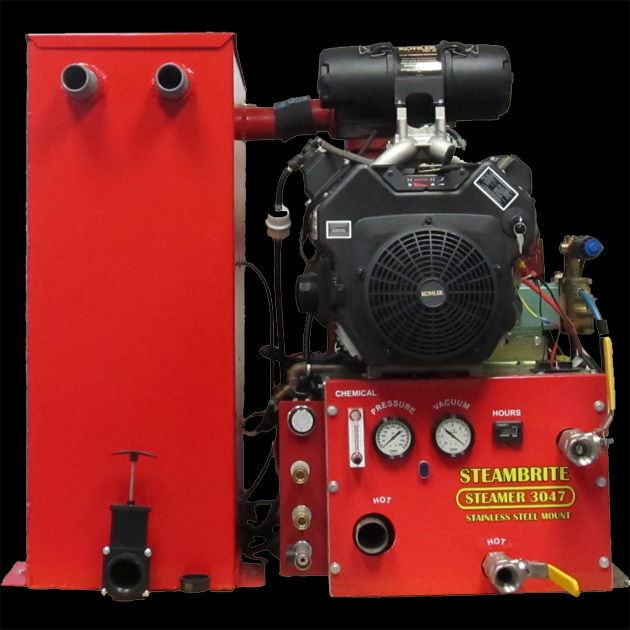 Easy access vacuum blower lubrication. Fast oil change hoses for engine and water pump. Low water pressure shut down. Turns machine off if garden hose of fresh tank runs out of water. 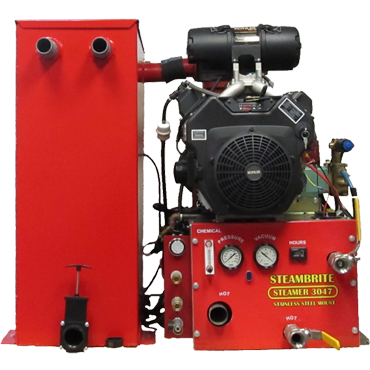 Optional double ball bearing, double hose reel for $399 more. 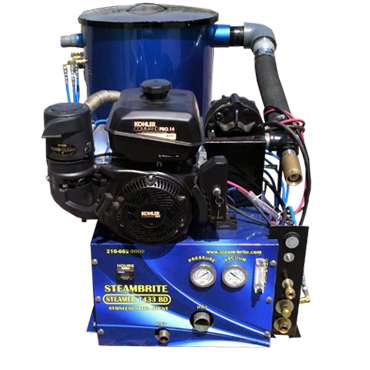 Steambrite MFG: 20 Hp Stainless TruckMount Carpet Cleaning Machine Kohler Engine 36 Tuthill Blower Arimitsu Pump w/hoses and wand. 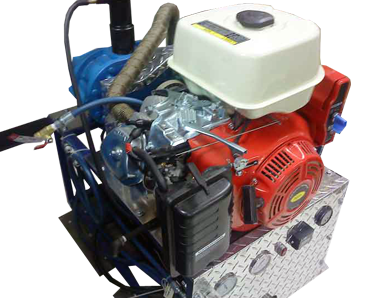 The TM2036 uses the Tuthill 3006 blower, the same size blower motor as the Prochem Blazer and will dry the carpet the same. 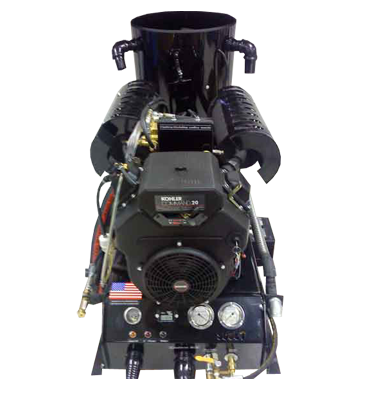 The main difference is the TM2036 is thousands less than the Prochem Blazer and has a larger engine. 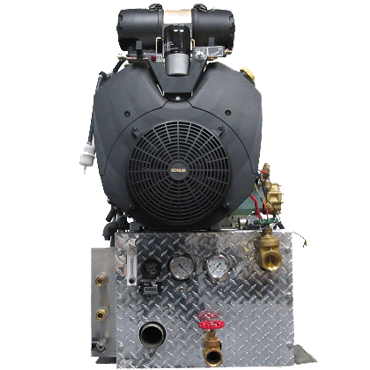 The TM2036 is 20 HP Kohler built in gas/fuel pump and low oil shut down. 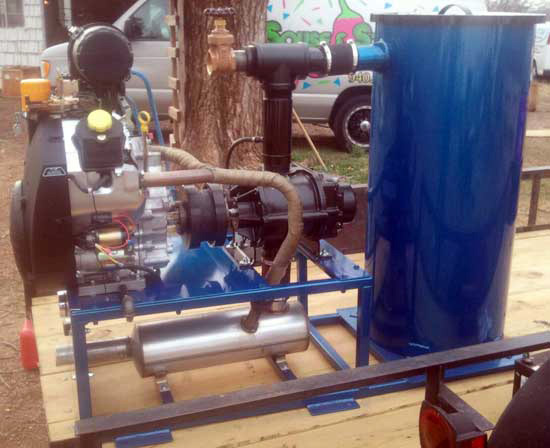 Seamless stainless steel heat exchanger. High pressure water pressure sensor to protect against run dry. No need for a bypass wand. 100 Ft. Each of Hoses (Vacuum and solution), and 12 in, Stainless Steel 2 Jet wand. 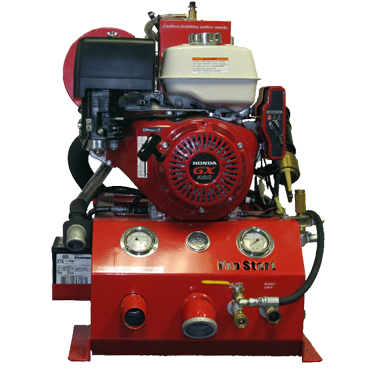 Steambrite MFG: 20 Hp Stainless TruckMount Kohler 36 Blower SS Waste Tank Flood Pumper Machine Only. Lots of new upgrades! Pictures not of Flood Pumper. 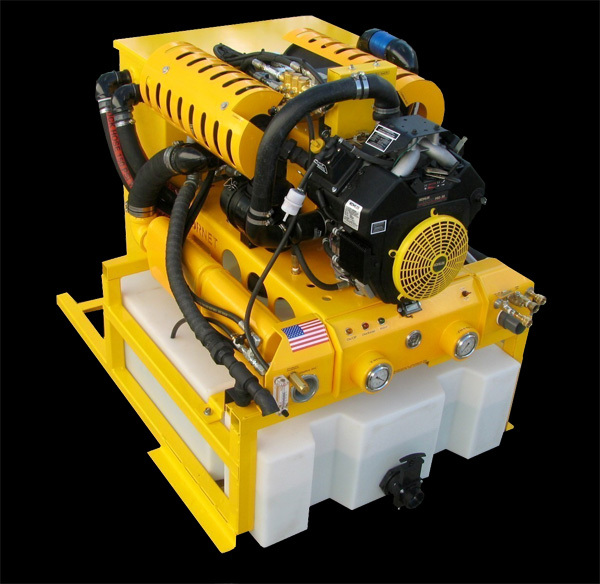 Flood Pumper does not include pressure pump nor fresh water tank. 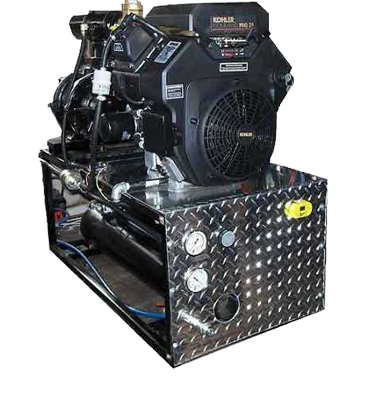 The Stainless Flood Pumper uses the Tuthill 3006 blower and the 20Hp Kohler Command Twin Engine for maximun Longevity and Performance. 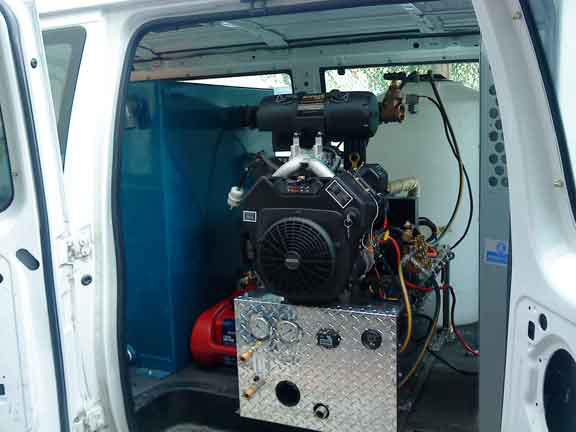 The Scout is 20 HP Kohler built in gas fuel pump and low oil shut down. 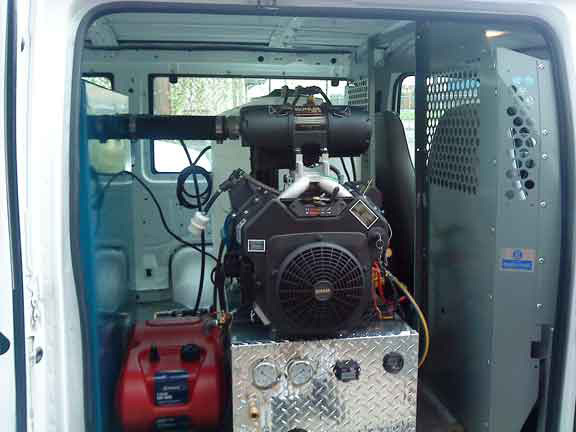 10 GPM auto dump with lint guard. No water pump or cleaning system, just extraction. 75 gallon Stainless steel tank with High water shut down safety switch. 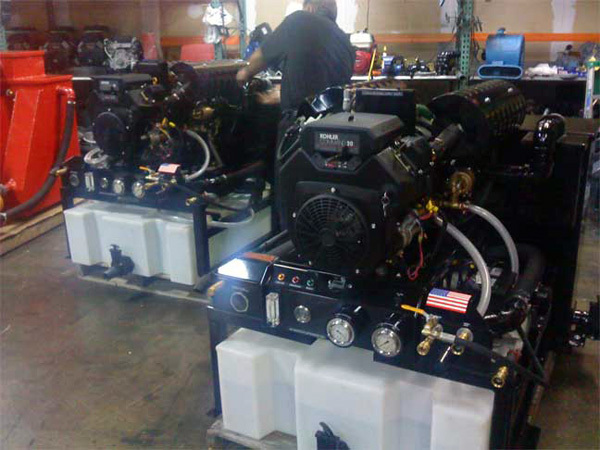 Fast oil change hoses for engine and pump. 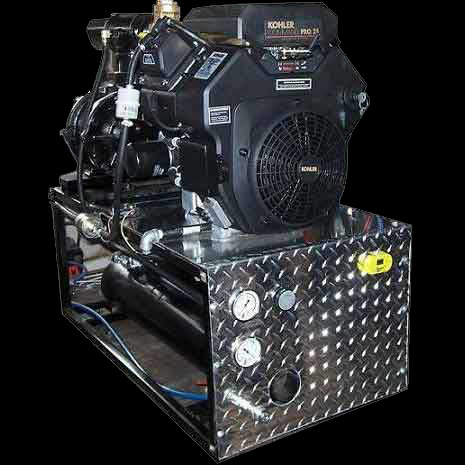 Steambrite MFG: 25 Hp Stainless TruckMount KOHLER 45 Blower SS Waste Tank 55 gallon Flood Pumper. 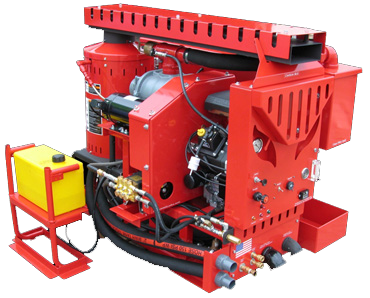 Pressure washer and vacuum recovery flood machine. 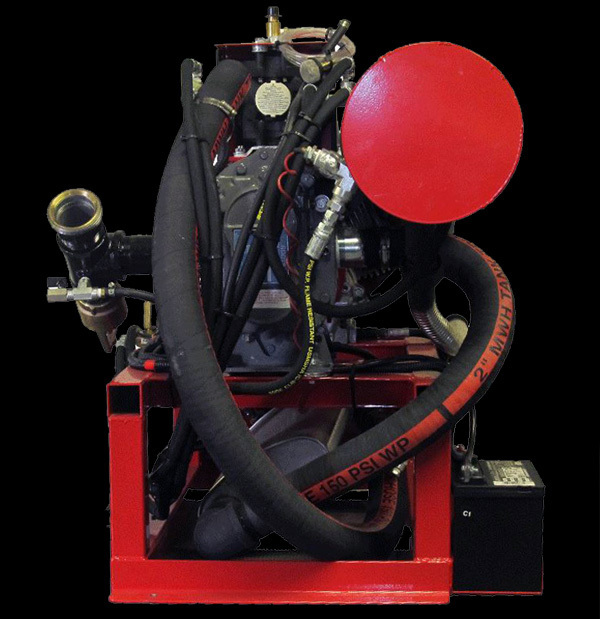 This machines is the frame, engine, vacuum bump, waste tank, 10 gallon per min auto dump pump, lint filtration. Dual wand ported. This machine does not have a pressure washing pump or heater on it. 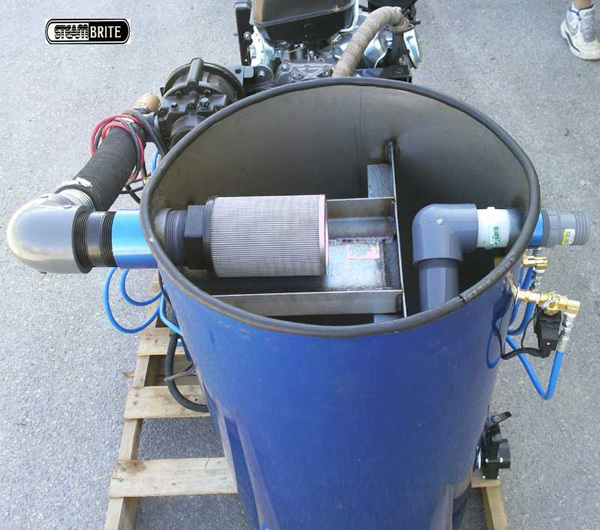 We also offer a round cylinder shaped tank located behind the machine. 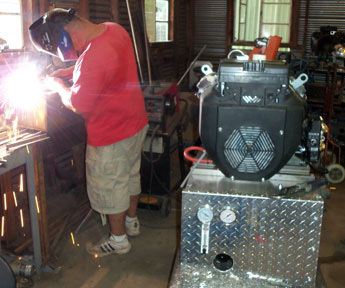 Frame can be made to mount on a tounge of a trailer of your pressure washer. Magna Flow Wide open Silencers. Giant 3" open flow from vacuum blower to 3" waste tank filter. 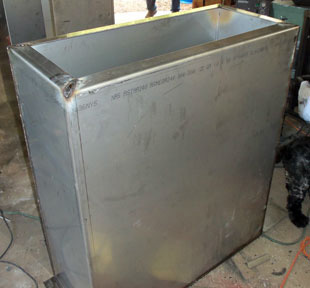 55 Gallon 100% Stainless Steel Recovery Tank. 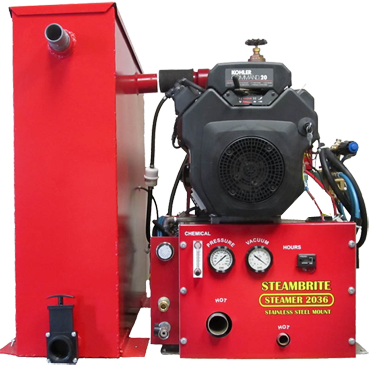 Steambrite MFG: 25 Hp Stainless TruckMount KOHLER 45 Blower SS Waste Tank w/hoses and wand, Double Live Reel, Case of Chemicals. You will have the power, performance to do what ever and business needs to take you. 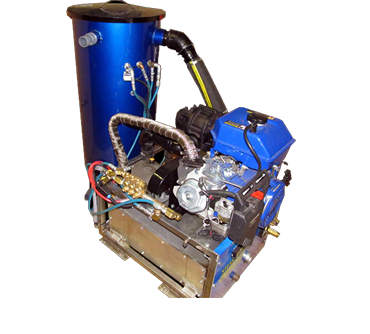 This machine will clean Air Ducts, Tile and Grout (floors, corners,bathrooms, walls, counter tops), Mattresses, Pet Odor Removal, Cars (inside fabric and outside engines, paint, tires, andundercarriage), Stair Cases, Drapery/Curtain, Fireplace Brick, Wall Covering, Office Partitions, Carpet, Upholstery, Flood andWater Extraction, Sewer Jetting, Trash Shoot Cleaning, Pressure Washing (surface preparation, sandblasting, paint removal, gum removal, cement cleaning), underground drainage system. One machine for everything! Arimitsu 516 Pump with Stainless Steel Valves. Produces up to 225°F Water Temperature. 200 ft double live reel. 85 Gallon 100% Stainless Steel Recovery Tank. Dial in Auto Heat control. No By Pass Wand needed. 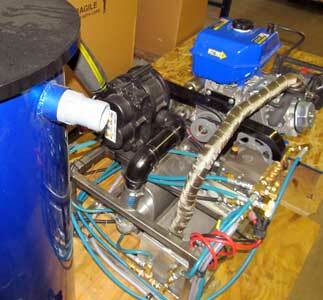 2500 psi pressure pump with full use on heat exchangers. 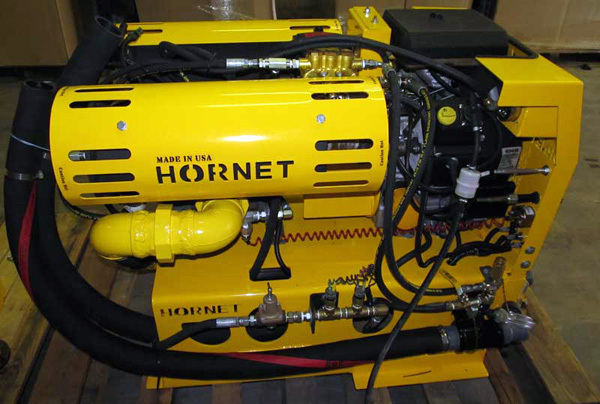 Includes 100 feet of Vacuum and Solution hose. 12 inch double jet stainless steel wand with a top mounted high pressure valve. 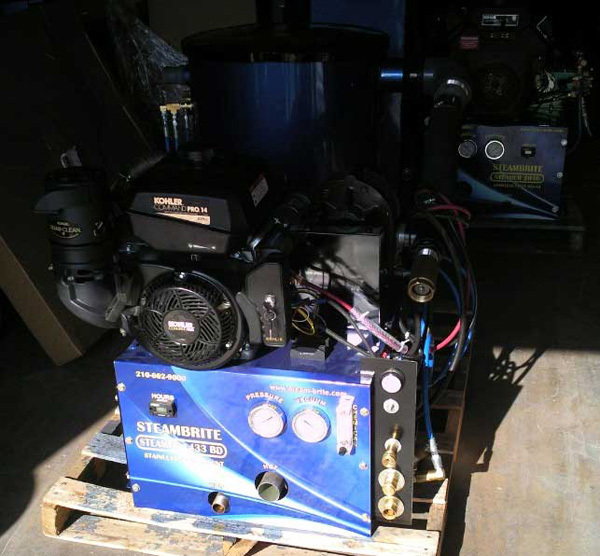 Steambrite MFG: 25hp Stainless Truckmount w/45 Tuthill Blower Clutched Pump, Exhaust Diverter w/Hoses and Wand. Panel Mounted Gauges and Controls. 100 feet of Vacuum and Solution hose. 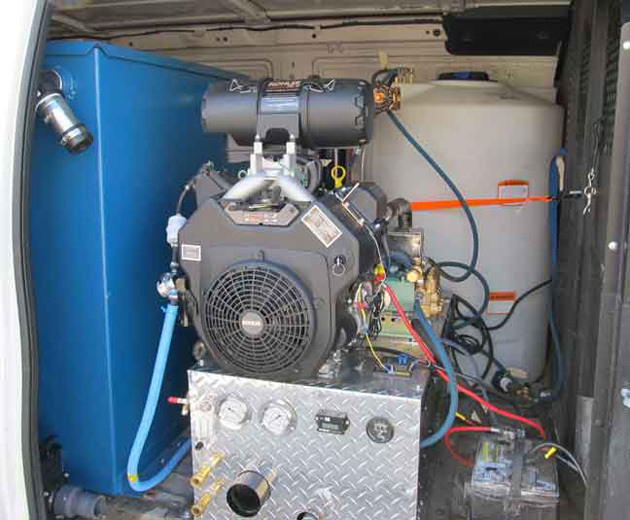 Steambrite MFG: 30 Hp Stainless TruckMount Kohler 47 Blower 100G SS Waste Tank w/hoses and wand. Over Heat Protection adjustable to 250F. 100% stainless steel frame and tank. Adjustable vacuum relief (close it off for dual wanding and open for upholstery cleaning - you set how much suction you want). Dual Wand System (two vacuum ports on waste tank and dual solution ports on console). Optional 55 gallon fresh water tank or 100 gallon tank. 106 Gallon Stainless steel Recovery Tank. 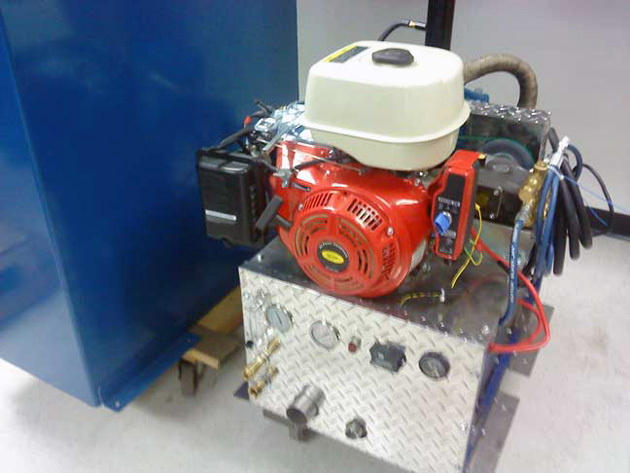 2300 psi pressure pump with full use on heat exchangers. 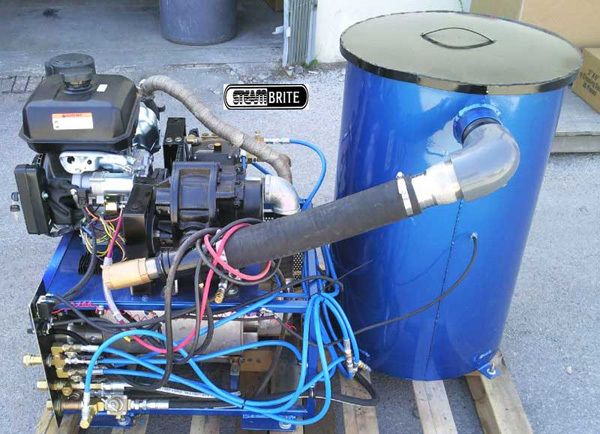 Steambrite MFG: 34HP Kohler 47 Blower Stainless Truck Mount Dual Action 100 GL SS Waste Tank Clutched Pump & Manual Exhaustt Diverters w/hoses and wand. 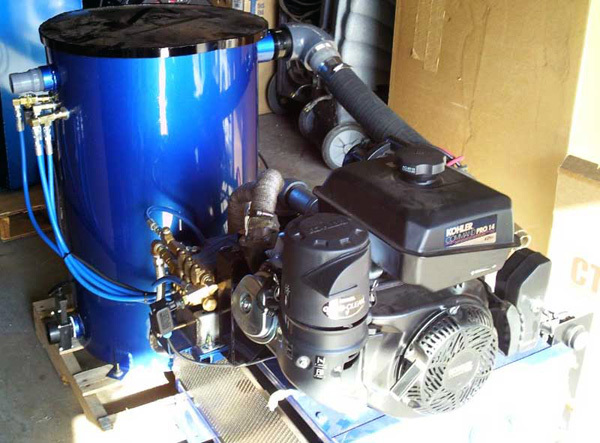 Pictures show previous unit with 30hp engine. 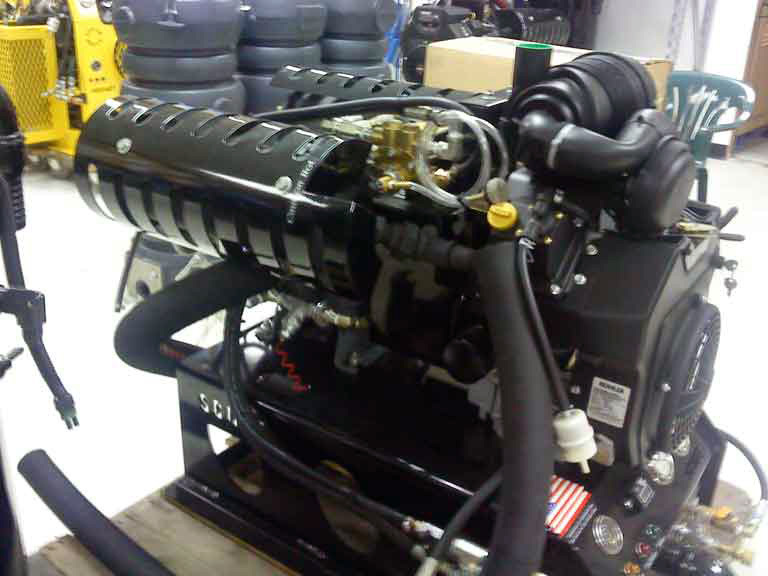 It's been replaced with the 34hp big block kohler which looks just like the 40hp on the TM4047. Also current production is in blue but the red is still available if customer prefers. 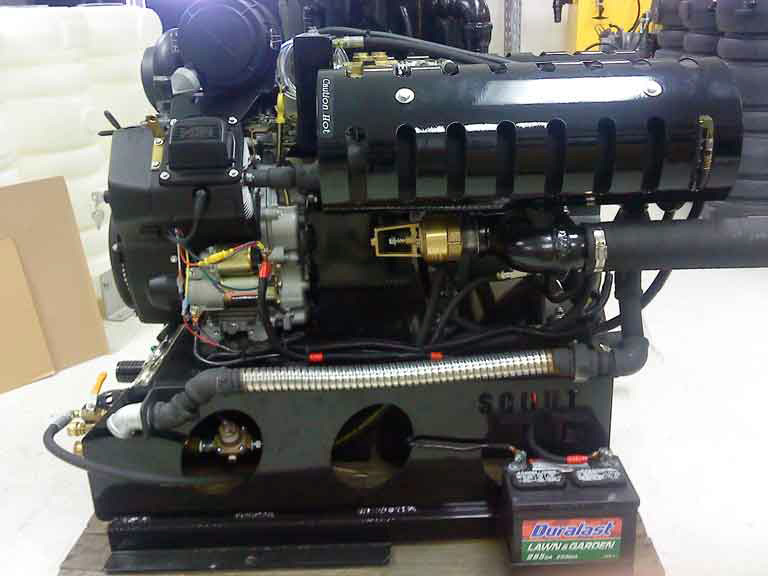 34 HP Kohler big block Engine. 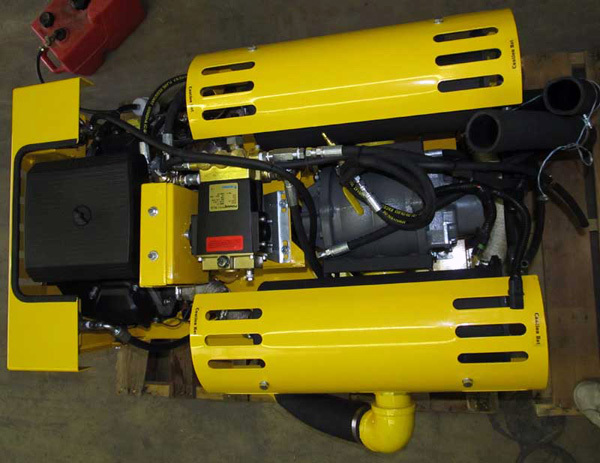 Clutched Arimitsu 516 Pump with Stainless Steel Valves. Produces up to 250°F Water Temperature. 100 Gallon Stainless steel Recovery Tank. 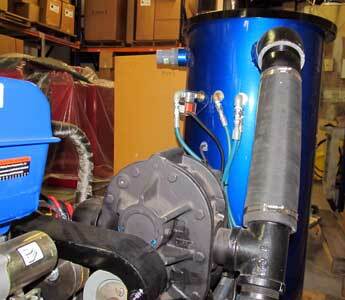 2000 psi pressure pump with full use on heat exchangers. Availible in painted or straight stainless look. 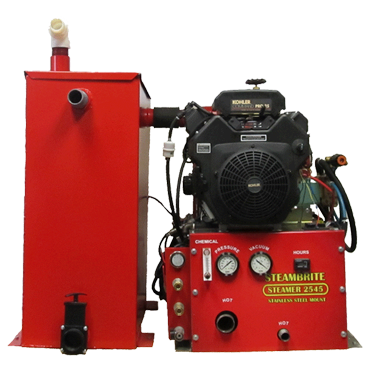 Steambrite MFG: Stainless Mount 4047 Dual Action 40HP Kohler 47 Blower 100G SS Waste Tank Clutched Pump & Diverters w/hoses and wand. 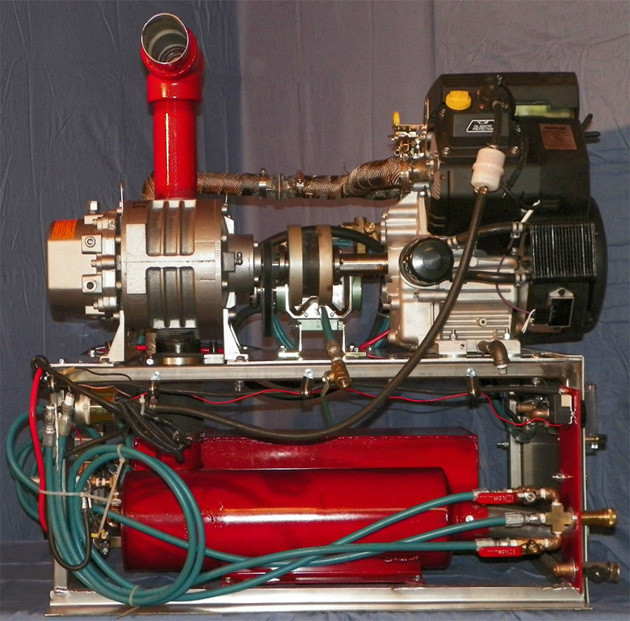 Arimitsu 516 Pump with Stainless Steel Valves W/ Clutch. 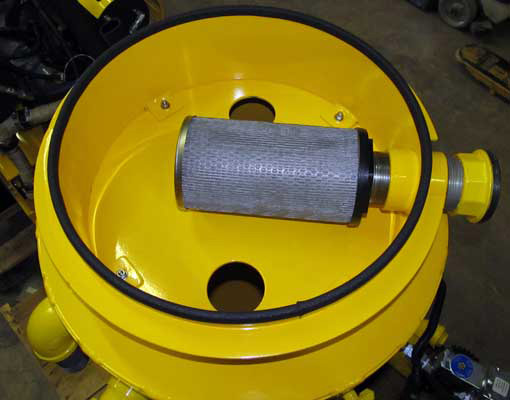 Exhaust Diverters for water extraction. Optional auto dump system $1000. 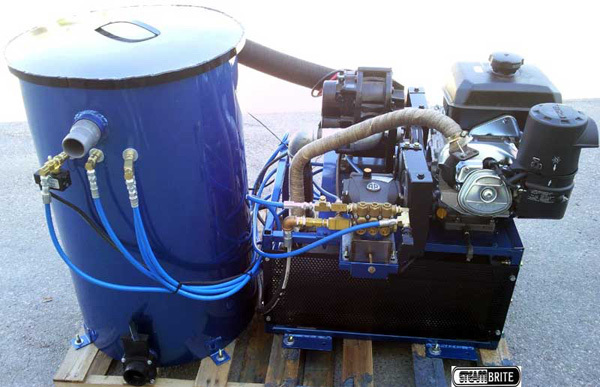 SteamBrite: Double Flood Eaz Dri Truck Mounted Flood Pumper - 40Hp - 500 CFM - Dual Wand. 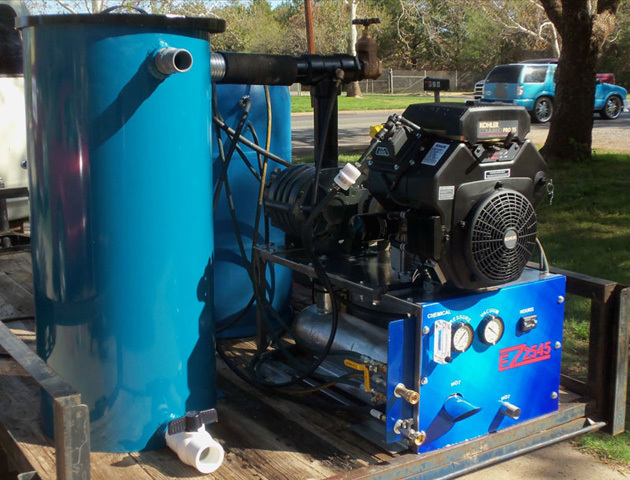 EZ 4047 Double Flood Eaz Dri Truckmounted Water Extraction Unit can be used for deflooding and vacuum recovery from pressure washing. 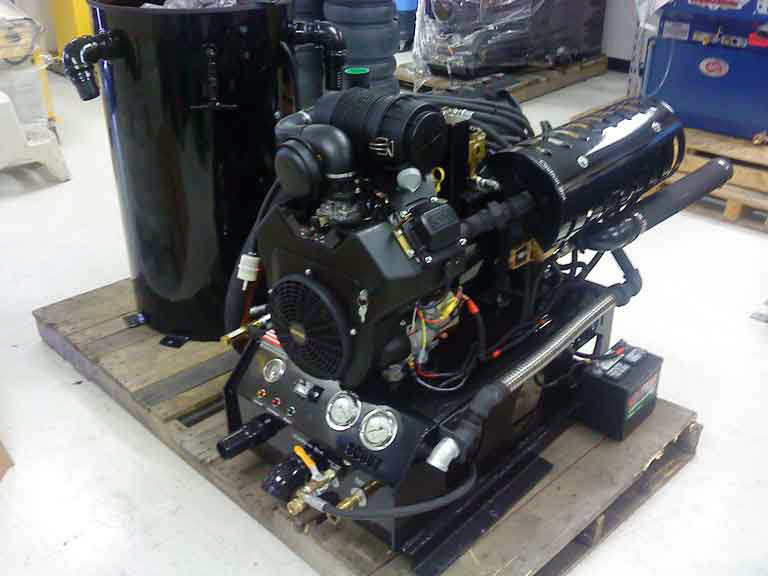 This unit will gulp an impressive 530 CFM and up to 16" of mercury of vacuum. Desinged for single or dual wand use. 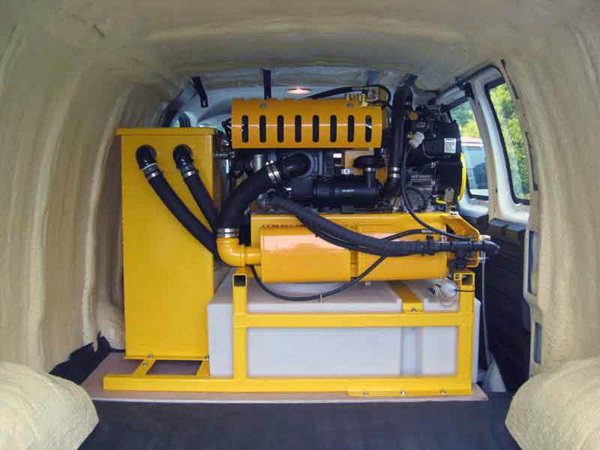 This Super Extraction System is the easiest of all flood pumping truckmounts to service and maintain. 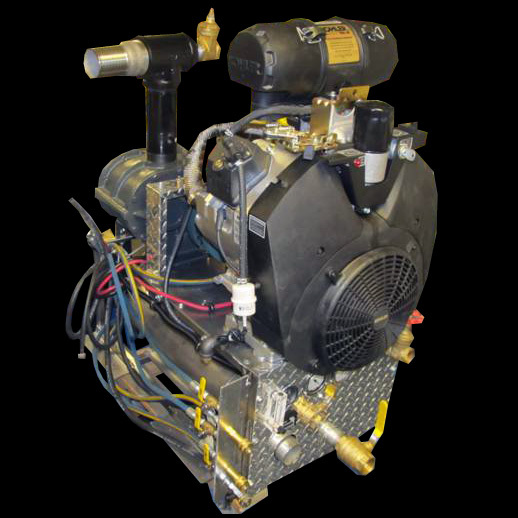 The 4-cycle 40 HP gasoline-powered Kohler operates at 3200 RPM, delivering top performance and low maintenance. 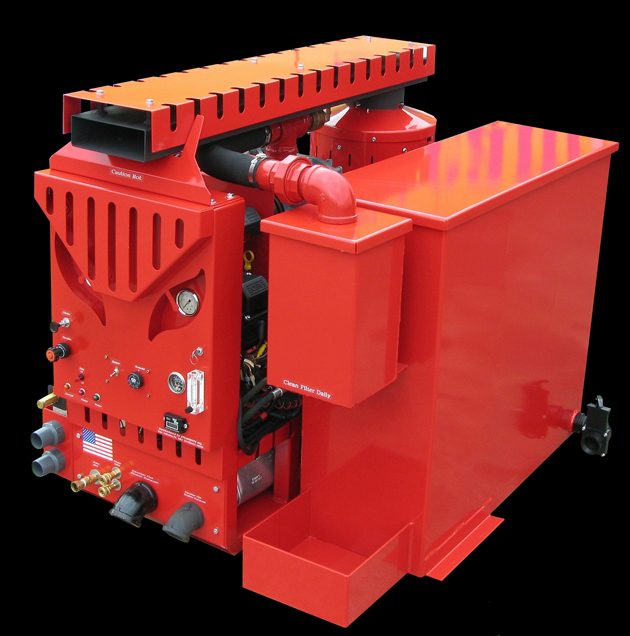 Delivering 500 CFM, the Tuthill 4007 has a proven track record of providing optimum vacuum performance day in and day out. 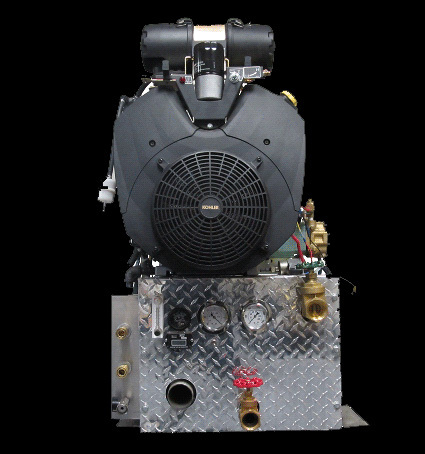 Marine-grade stainless steel construction with automatic shut off at 106 gallons. 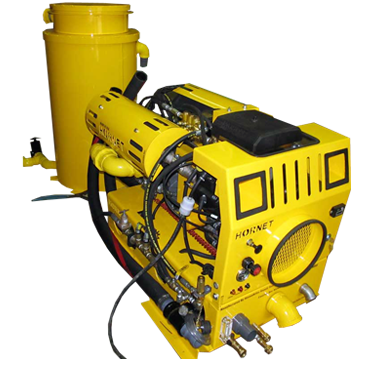 A big capacity 2-inch waste dump port means quick dumping and easy cleanout. 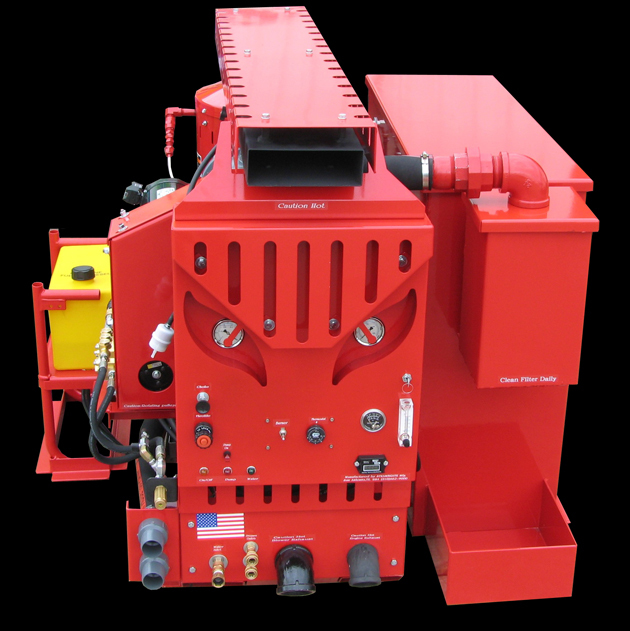 Provides 20 GPM (at 60 ft. of head) waste disposal option, significantly greater than competitive waste pumpouts. 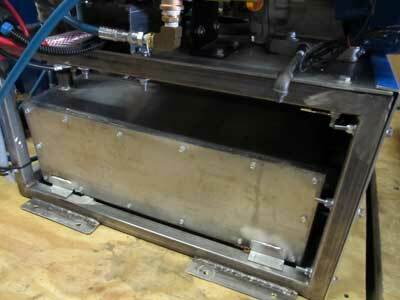 Two 2 inch vacuum inlet ports allow two techs to extract with one machine. 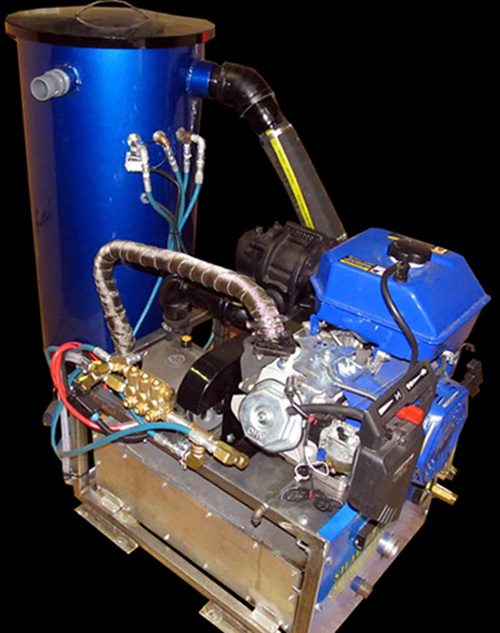 A 3-inch exhaust port virtually eliminates back pressure on vacuum system to maximize performance. Vacuum gauge and hour meter for monitoring job progress and maintenance. Double 2-inch vacuum ports for dual wand operation. Simple, "turn the Key", easy operation. 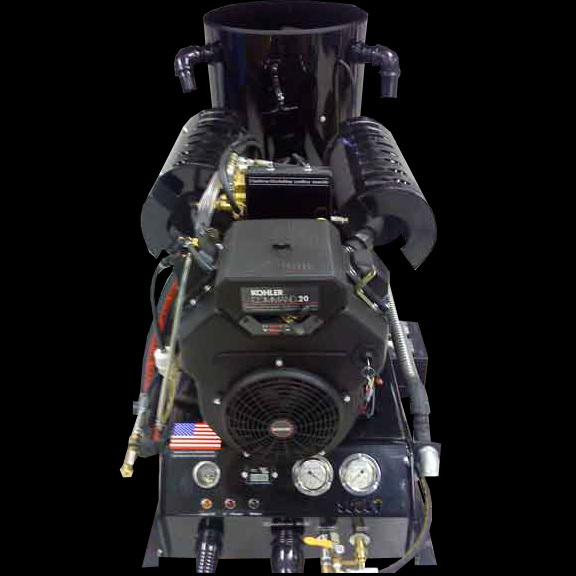 Higher vacuum power for faster extraction. Lower maintenance than typical truckmounts. Easier Serviceability than all other truckmounts. 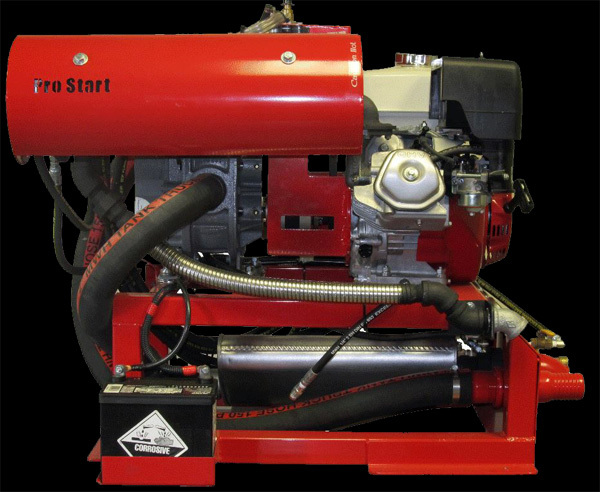 Steambrite MFG: 13hp Honda Pro Start Truckmount Carpet Cleaning Machine with hoses and wand. Honda GX390 13HP engine with electric start. Legendary Roots 33 URAI blower. 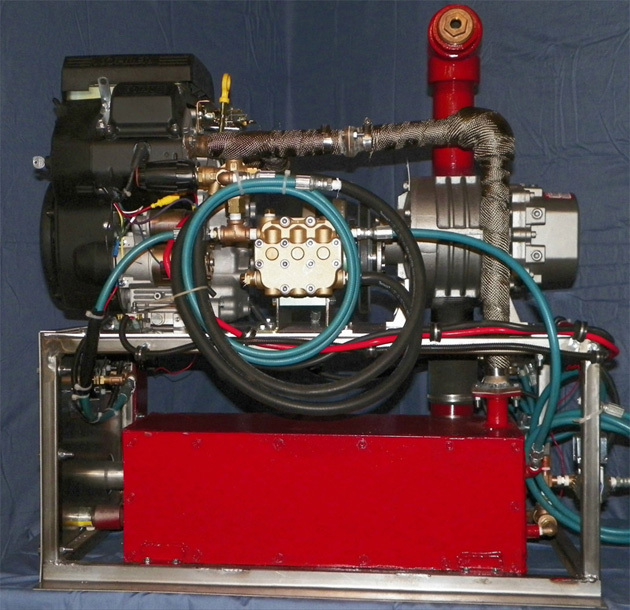 Hypro 1000psi "hi-heat" piston pump w/ chemical metering system. Stainless steel coiled heat exchanger. Color will be Black frame with a red engine. Automatic high water shut down. 300 foot hose operating range. Variable water pressure control High water temperature shut down Simple easy to maintain design. 100 feet 2in Truckmount Grade vacuum and solution hoses. Double bend, Double Jet, Stainless steel 12in carpet cleaning wand with bypass. 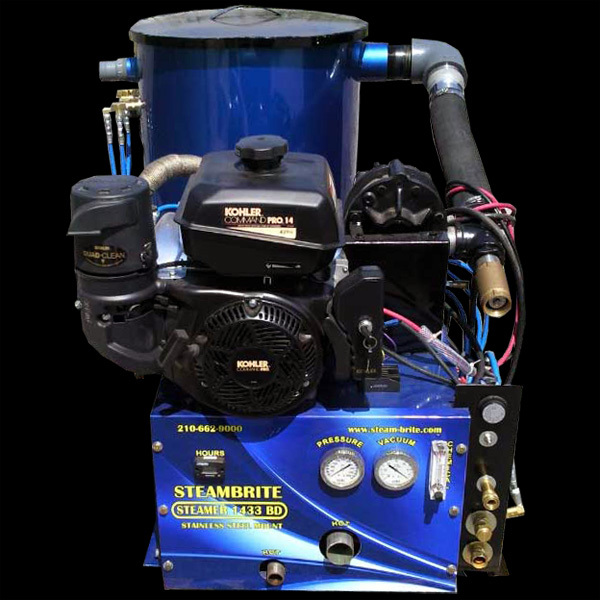 Steambrite MFG: 20 Hp Kohler 45 Blower DUAL Heat Exchangers Scout Truckmount Carpet Cleaning Machine With Hoses and Wand, Reel, Chemicals Package. 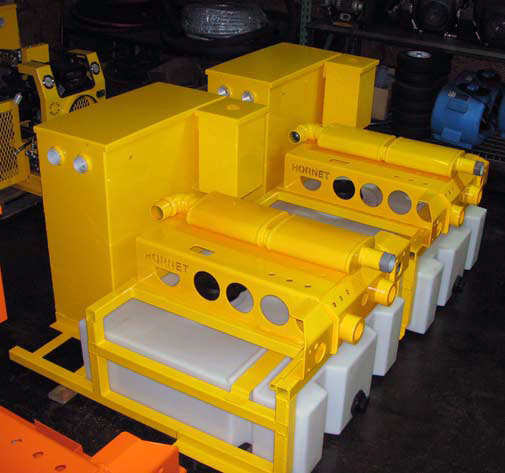 Dual Horizontal Stainless Steel Heat Exchangers. 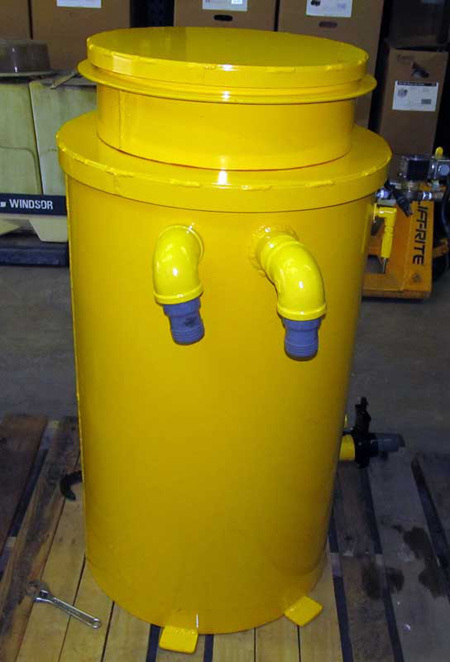 85 Gallon Powder Coated Aluminum Recovery Tank with Sloped Bottom. 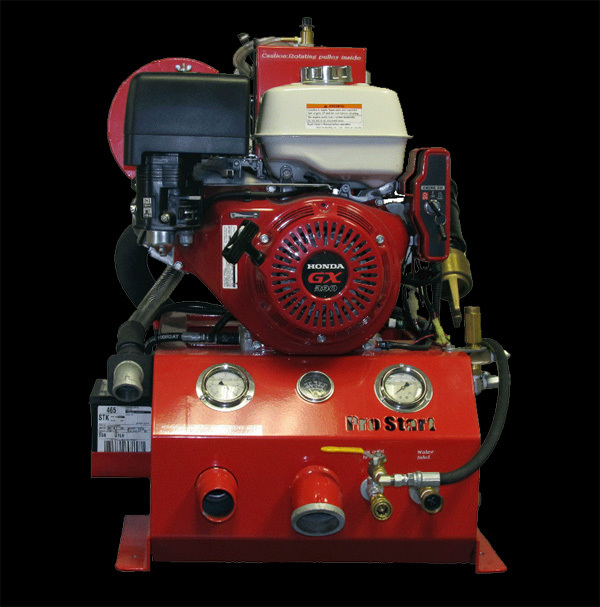 Hypro 2000 psi Plus pump. Color = We stock both Black and yellow. 75 Gallon Powder Coated Aluminum Recovery Tank with Sloped Bottom. 80 gallon Fresh belly tank. 2000 psi water pressure gauge.